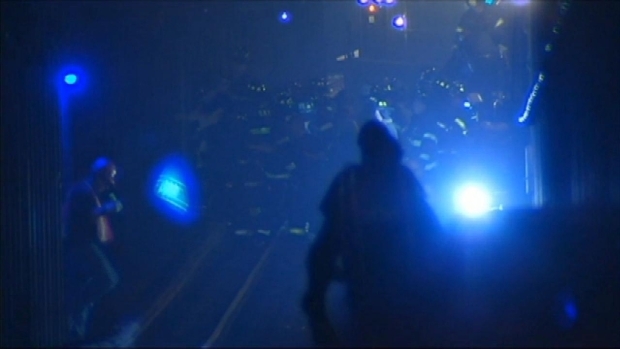 A Manhattan-bound F train with 1,000 people on board derailed Friday morning in Queens, injuring at least 19 people. Here is a look at past derailments in the 110-year-old subway system. May 29, 2013: A southbound 1 train derailed near 125th Street during the evening rush hour with 424 people on board. No one was hurt. Passengers were helped onto a rescue train that was then taken to the station. Aug. 3, 2011: A 6 train derailed near 125th Street; no one was hurt. Feb. 13, 2009: A southbound D Train derailed near the American Museum of Natural History on the Upper West Side. The train was evacuated, but no one was hurt. May 4, 2008: A Brooklyn-bound N train derailed in midtown near the 57th Street/Seventh Avenue station, no one was hurt. June 21, 2000: A southbound B train derailed just after leaving the DeKalb station in Brooklyn, injuring more than 80 people. Officials said the third car jumped off the track, pulling the second car along. April 12, 2000: Nine people had minor injuries when a northbound 5 train derailed near 68th Street. July 3, 1997: A Queens-bound A train derailed in Harlem, near the 135th Street station. Fifteen people were hurt. Aug. 13, 1996: A Brooklyn-bound D train derailed as it left the DeKalb station, and no one was hurt. Aug. 15, 1994: A southbound B train derailed in Brooklyn as it approached the Ninth Avenue station, injuring 11 people. Aug. 28, 1991: Five people were killed and and more than 200 were injured when a 4 train came off the tracks at Union Square. The motorman was drunk at the time of the crash and was later convicted of manslaughter. April 25, 1986: A motorman died after he had a heart attack and his IND train derailed in Queens. No passengers were on the train.